Click on the pop-up icon in the address bar. You may need to refresh this page to load the App. Click on the Options button in the notification bar. Click on the “Always Allow” button in the notification bar. 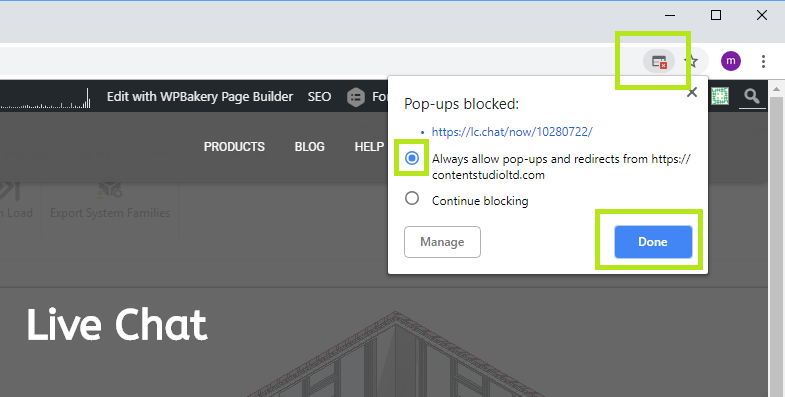 Click on the pop-up blocker icon in the address bar. 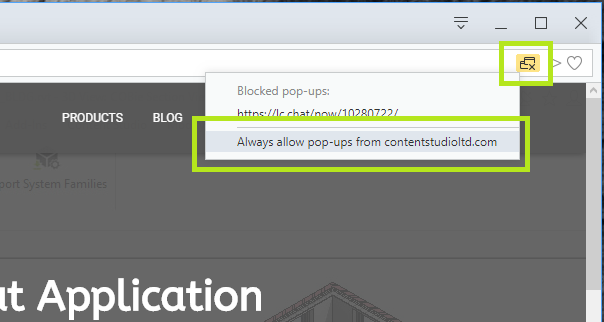 Select “Always allow pop-ups from contentstudioltd.com”. 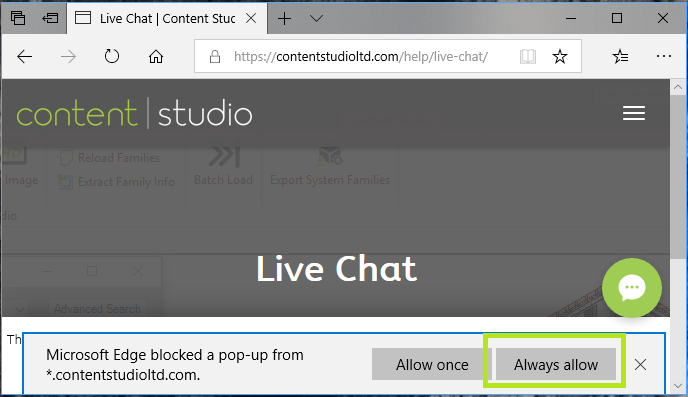 Select “Always Allow pop-ups and redirects from http://contentstudioltd.com”.